When you want to replace missing teeth permanently by using dental implants, it’s very critical to find a skilled expert to conduct the procedure. Your personal biology will also play a role in implant success rate. For instance, you need to have proper bone quantity so that the implants can anchor successfully in your mouth. Individuals with thick gum tissue also have very high success rates of implant treatment. This is because the thick tissue provides adequate bone support for the implant to integrate to. If you have thinner gum tissue, there’s no reason to worry. You can have an additional procedure known as grafting done in order to create bone and gum tissue and increase the chances of implant success. For an implant to be placed successfully there needs to be adequate bone to provide support. Bone deteriorates overtime making it harder for implants to last longer. The situation is even more difficult when you have more than one adjacent teeth that need to be replaced. In most cases, the dentist will recommend a different procedure such as bridgework. The other factor that affects how well the implant lasts is its position and how the crown emerges from the gums. It is much easier to position the implant in a stable manner when the gum tissue is thick. Thicker gum tissue is easier to hide than the thinner ones. 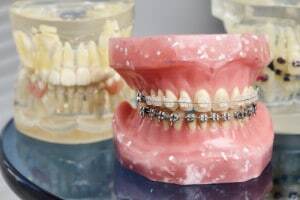 The dentist may also fit a provisional crown before the permanent one is made just to make sure you get a procedure that looks as natural as possible. Also, the crown shape is important to get right because it does affect how the teeth function and feel inside the mouth. When performing the implant placement, the dental expert has to be keen on the degree to which the implant is inserted beneath the gum. Recent advances in technology have facilitated implant treatment to be done in a way that helps to stabilize bone and gum tissue and also improve aesthetics. A technique known as platform switching has been used in implant treatment to make the result more successful and reduce the risk of complications. Ask your dentist to explain your options and review some of the risks involved depending on your unique situation. With implant treatment, you are at least guaranteed good results if the entire process is carefully planned out and managed. Implant treatments must be done by qualified personnel. As much as implants have been designed with the best technology and materials to ensure they help replace missing teeth the best way possible, you need to understand that we rely on the body to heal itself. This means that if you suffer from a condition that compromises your immune system or are taking medications that could interfere with the procedure, discuss other options with your dental expert. There are possibly numerous alternatives with other benefits available to you. Learn as much as you can about every dental procedure before you make a decision.